Note: This preview has passed. Here’s info this weekend’s HBO/Cinemax preview that includes the Game of Thrones Season 6 premiere. Time to clear some storage space on the DVR! HBO and Cinemax are offering free previews all this weekend through many television service providers including AT&T’s U-Verse, DirecTV, Dish Network, Midcontinent, and Verizon FiOS TV. Comcast Xfinity TV subscribers are also confirming the preview in some markets. The free previews for most subscribers started on Friday, Feb. 19 and will run through Monday, February 22. Check your guide to see if you’re getting the Cinemax & HBO previews this weekend. If you are, please let us know in the comments. 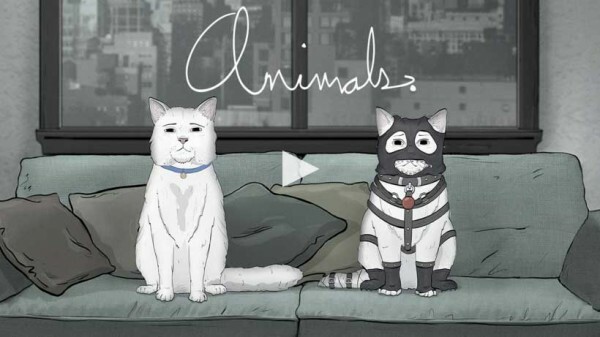 HBO is promoting their new animated series “Animals” (pictured above) for mature audiences that focuses on rats, pigeons, cockroaches and other creatures that live in Earth’s least-habitable environments. HBO and Cinemax ran a similar free preview period last summer, during which time AT&T U-verse, Comcast Xfinity TV, Cox, DirecTV, Dish, and Verizon FIOS were among the participating TV service providers. I recorded several programs during the free preview and for some reason about half of them would not playback on my dish hopper. Checking with tech support for possible drive problems the support people theorized and postulated that some of the movies may be marked by HBO for limited playback ( like the pay per view) after going thru most of them they maybe right. First time I have seen this occur with the free promotions. Pity that Dish or HBO failed to disclosed the limited playback on those films ahead of time. Love the free preview, always get to watch some good shows. February 20, 2016 is actually on Saturday.